Do you want to try a new brand you have never used it before? If you say yes, you can try this brand, maybe you will have a nice vaping experience! 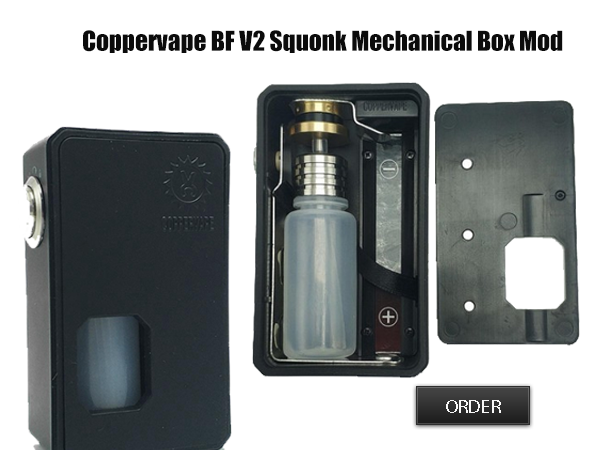 The Coppervape BF V2 Squonk Box Mod is made from ABS 94V0 plastic, which is a high temperature resistant plastic, with soft feel rubber paint on it. Coming with silver plated contacts, the voltage drop is close to zero. The BF V2 Squonk Box Mod is powered by single 18650 battery (not included) and has built-in 10ml PET bottle. With spring-loaded 510 pin, the mod can be compatible with all BF RDA in the market. 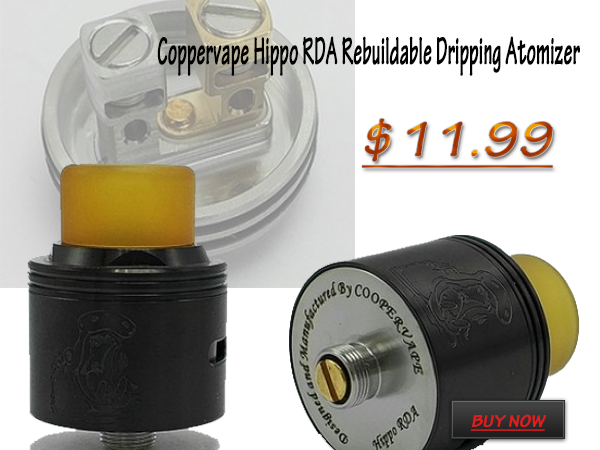 The Coppervape Hippo RDA is a 24mm atty constructed from 316 stainless steel. The build deck comes with dual post and is wide for easy building. There is a M5 (5mm diameter) screw on each post. With the biggest lock screws, you can lock any size of wire very well. The airflow is adjustable via the top cap. PEI drip tip is included.